Windows 10 shortcuts. Covered almost every useful keyboard shortcut and removed useless ones. If you want to take a printout, Please download the printable PDF file of Windows 10 keyboard shortcuts for easy reference. 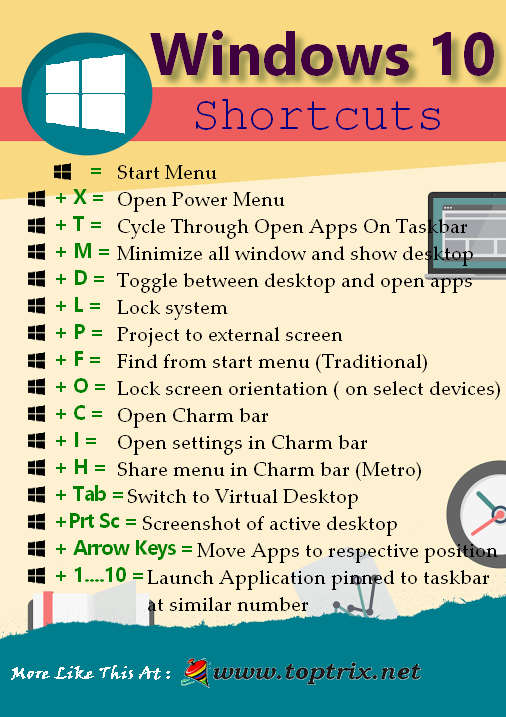 Amazing & time saver shortcuts. Thanks for the sharing.